The Atheist Experience is a weekly cable access television show in Austin, Texas geared at a non-atheist audience. Every week they field live calls from atheists and believers alike. 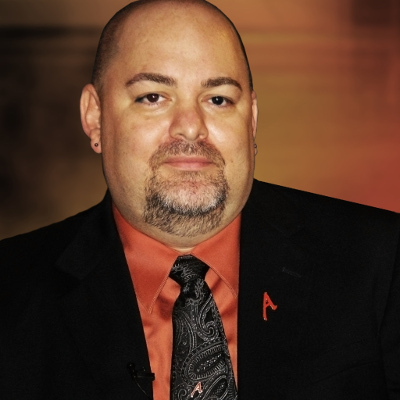 The show is made available world wide on YouTube, which has made it and one of its hosts, Matt Dillahunty, an Internet Celebrity. He, along with another YouTube personality, AronRa, who primarily produces YouTube videos about evolution and debunking creationism, will be coming to New Zealand on March 10. The New Zealand Association of Rationalists and Humanists in conjunction with the Reason and Science Society at Auckland University will be hosting an evening of discussion on March 10 featuring Matt Dillahunty and AronRa talking about the relationships between magic, skepticism and atheism. Peter Harrison, NZARH Council member expressed thanks to Dillihunty and AronRa for taking the time out of a busy schedule to address a New Zealand audience, saying “Matt and AronRa play a critical role in reaching out and providing support for atheists who feel isolated and alone. They also hold religion up to critical scrutiny and questioning in a way that is both honest and forceful. We are very much looking forward to hosting them.” The event on March 10 will be open. Both atheists and believers are welcome to come along and participate in discussion. AronRa is an atheist YouTuber and activist. His videos focus on biology, with an emphasis on countering creationist claims, and advocating rationalism in science education. He also posts written material on his website LocoLobo. He is the Texas State Director of American Atheists. He was also previously a co-host on the podcast Dogma Debate with David Smalley. In a seventeen part series of videos AronRa addresses the most popular claims of creationists. The series is highly critical of the methods employed by creationists – describing the ringleaders as liars – some of whom having a financial interest in the beliefs they’re pushing. The series is aimed at the general public, or sheep, who he feels are being deceived by the purveyors of creationist misinformation.